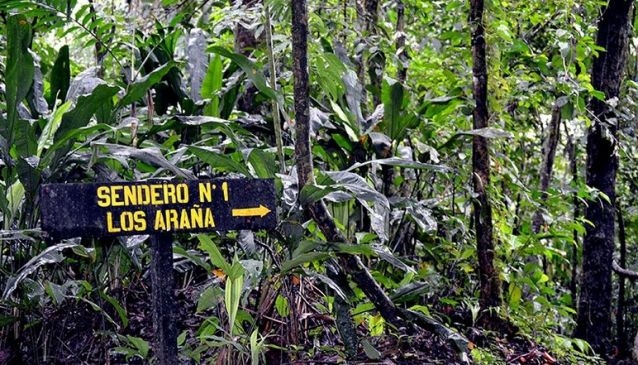 Mirador El Silencio is a private wildlife reserve located in the dense forest of Arenal Volcano and right outside the popular town of La Fortuna de San Carlos. There are 14 km of well marked hiking trails where sightings of local wildlife and flora can be easily enjoyed. The reserve requires a qualified guide for many of the trails allowing for a thorough history of the land, sights and great facts about the wildlife and plant species found in the area. A detailed marker system allows you to easily follow the detailed map supplied by the reserve upon arrival. Reservations are recommended and can be made online.